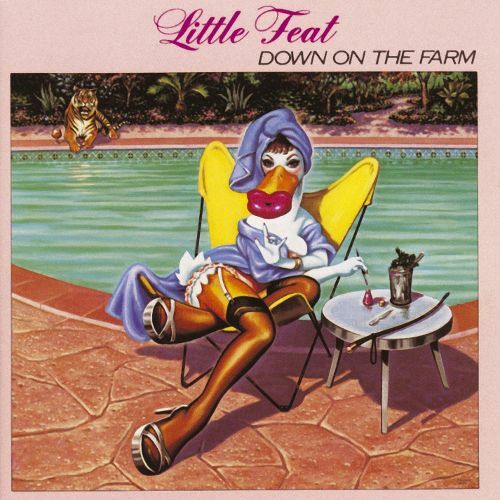 Down on the Farm is the seventh studio album by the American rock band Little Feat, released in 1979. It was also their last original work for nine years. 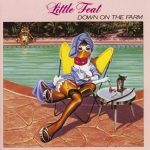 The band announced their break-up in June 1979 during the making of the album, and a fortnight later the band’s founder and guiding light Lowell George died from a heart attack brought on by years of overindulgence. Feat would reform in 1987. The cover shows one of Neon Park’s several duck-girls – an allusion to “The Finishing Touch” by painter Gil Elvgren.